V.O.P. CABLES PARPANELAS G., S.A., Cabluri electrice, Cabluri si fire electrice si telefonice, cables, pe EUROPAGES. EUROPAGES > Cabluri electrice > V.O.P. CABLES PARPANELAS G., S.A. The company G. PARPANELAS S.A. - V.O.P. 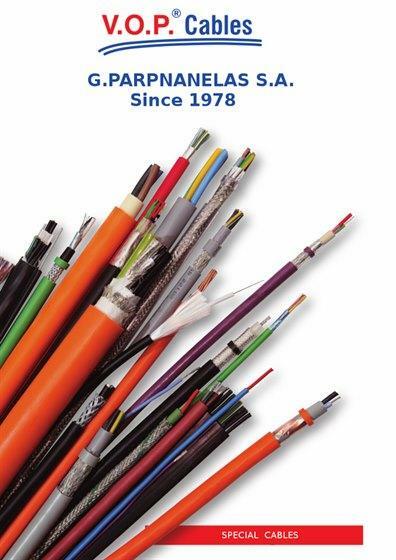 CABLES was established in November of 1978. 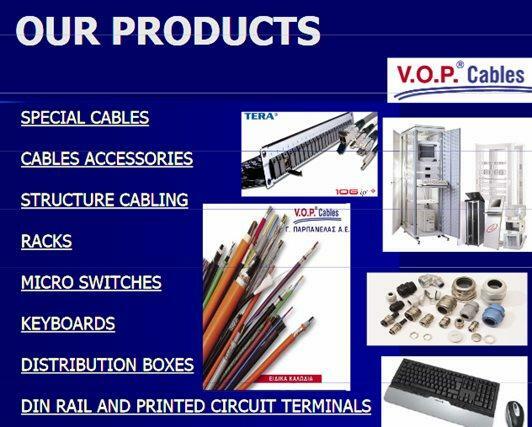 For 28 years our company supplies the Greek and not only- market with special cables and cable's accessories. We have control, data, fiber optics, voice and data, bus, coaxial, t.v., alarm, fire detection, loudspeaker, telephone, instrumentation, silicon, neoprene, polyurethane, power, medium voltage, servo, ship, spiral cables and cables with circuit integrity during fire. Today the company is stationed in its own premises of 5000 sq. 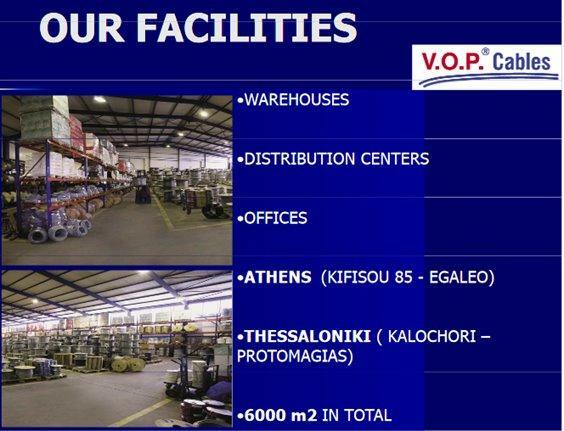 of warehouses in Athens and in Thessaloniki where there are in constant stock over 20.000 codes of special cables and cable's accessories with the capability to deliver promptly all types of cables and in any quantity. The range of our cables is complemented by a full series of cable's accessories, complete solutions for structured cabling networks, fiber optics and Racks.